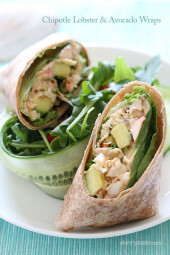 Chipotle lobster salad with avocado, scallions, cilantro and lettuce on a whole wheat wrap – fabulous!! A few weeks ago I grabbed a bite at Lenny’s clam bar with my husband and daughter and we ordered the special – the chipotle lobster avocado burrito. It was SOOO good I HAD to recreate a lighter version of it myself. I don’t eat lobster often because it’s not cheap, but I love it and like to treat myself once in a while, especially in the summer. I went to my local fish market and bought a 2 pound lobster and had them steam it for me (I personally don’t love cooking live lobsters). All the fish markets near me steam them for you for the same price as buying it live. This yielded enough lobster meat for 4 servings. Then I tossed the lobster with lemon juice, a little light mayo and yogurt to make it creamy and added some chipotle peppers in adobo sauce to give it a little kick. Tossed in some chopped scallion and fresh cilantro and the lobster salad was delicious. I wrapped it on a whole wheat tortilla with avocado and lettuce (you can lower the carbs and make it gluten free by turning this into a lettuce wrap) and had myself a fabulous lunch over a bed of greens. 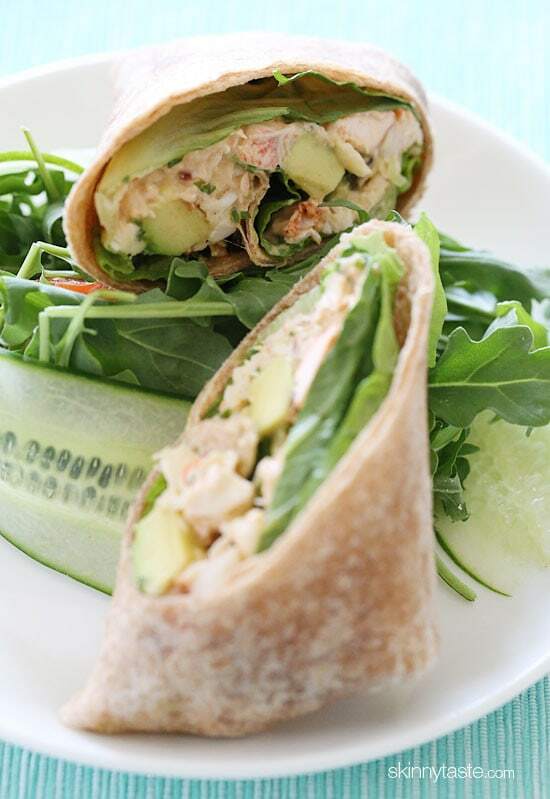 If you want to make a lunch to impress or even a light dinner, this is the perfect wrap! 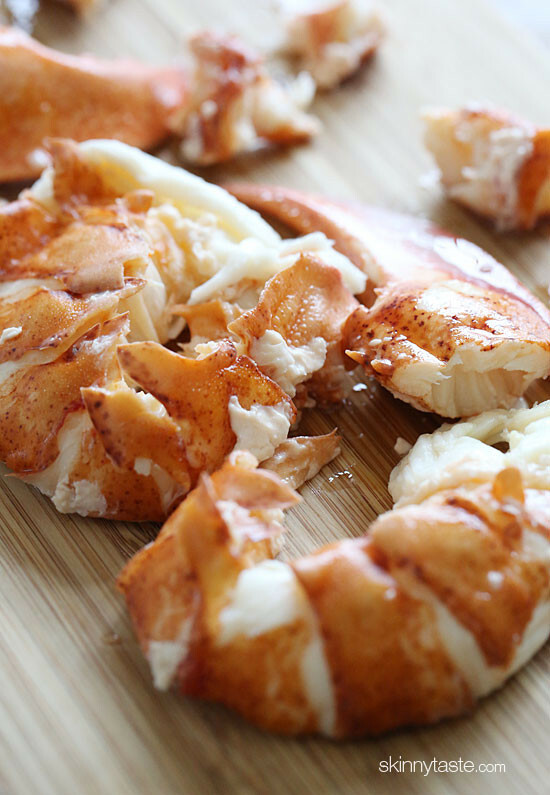 Chop the lobster meat into small pieces. In a medium bowl combine the light mayonnaise, yogurt, chipotle pepper, green onion and cilantro. 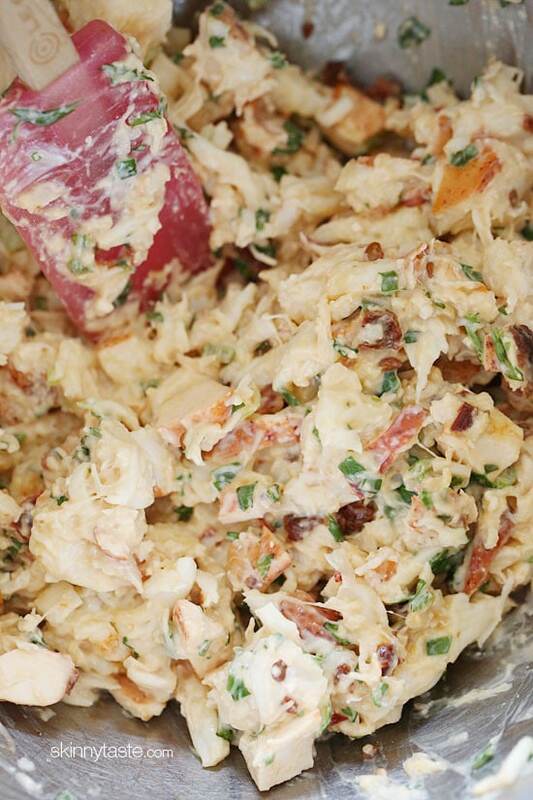 Add the lobster, squeeze the lemon juice over the lobster and mix well. 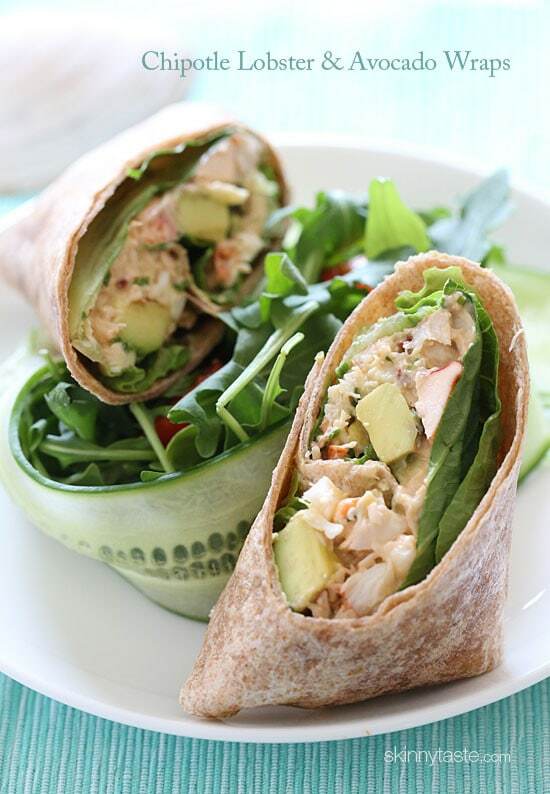 Place 2 lettuce leaves over each wrap, top with about 1/3 cup of the lobster salad and 1/4 of the avocado. 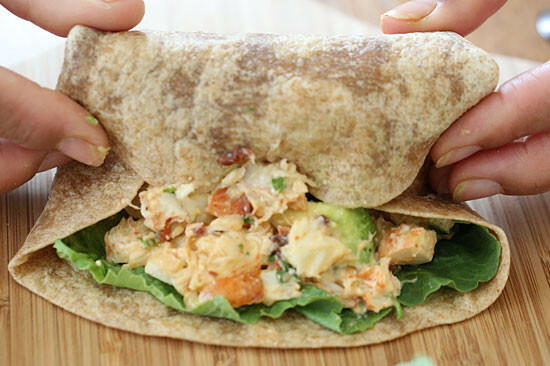 Wrap by folding the edges in slightly and slice diagonally.